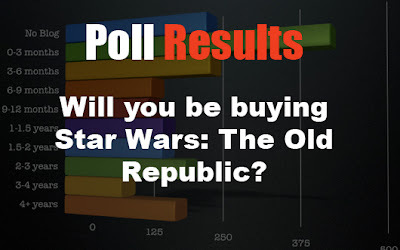 After spending the Holiday's killing Womprats in my T-16 at home it was already a new year and time to recap on another poll. We wanted to know Will you be buying SWTOR? Half of you said that you already had bought it while 33% said they had no plans. Although one individual decided to wait until the reviews of the game came out first. Here at Zero Pwnage we gave it an 8.5 out of 10 for being one of the smoothest released MMO's in history. You can check out the review yourself by clicking out Reviews/Previews tab at the top. This week we want to know what you thought the 2011 Game of the Year was. Which is also the main topic of our first Podcast that will be out sometime this month. More plans on how our podcast will work will be revealed coming up so stay tuned.